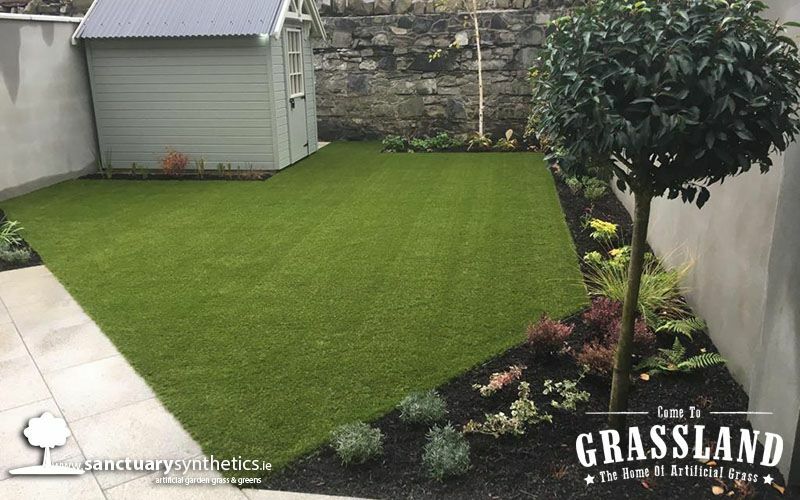 This wonderful front garden in Dublin got a makeover with our SUPER artificial grass. 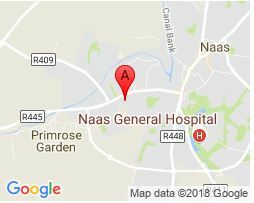 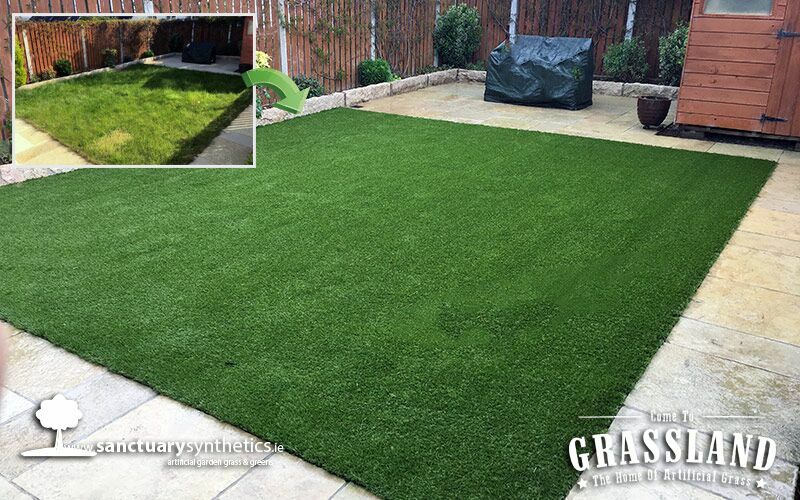 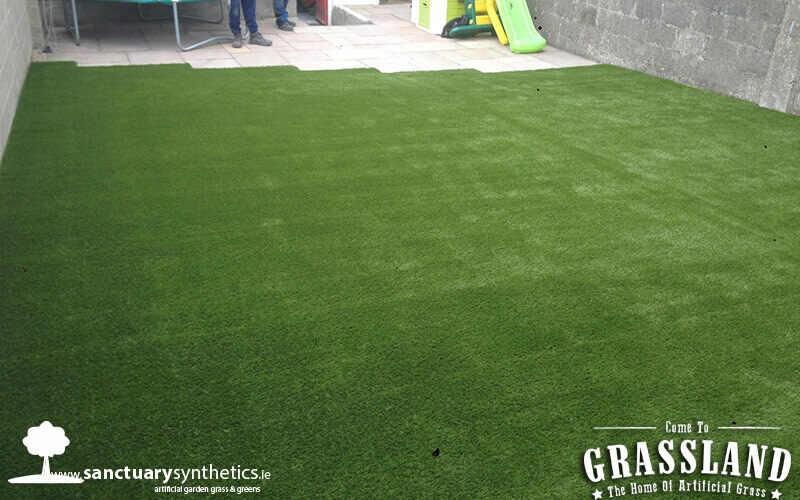 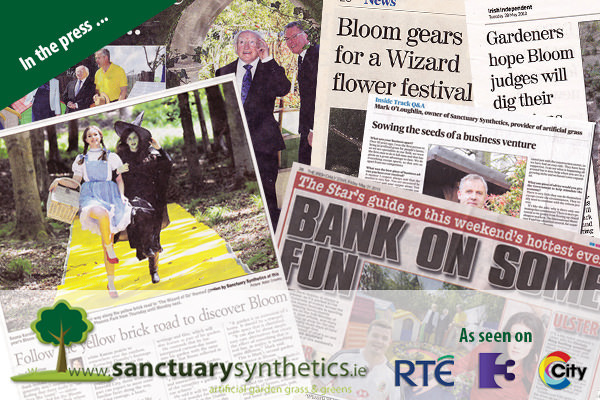 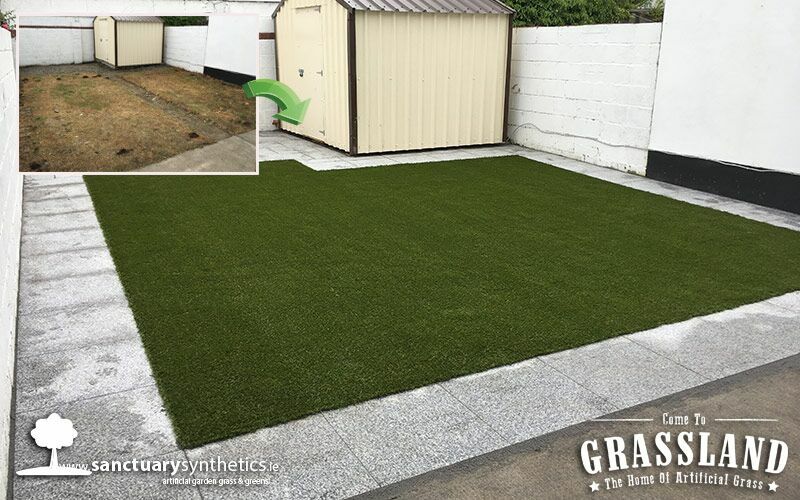 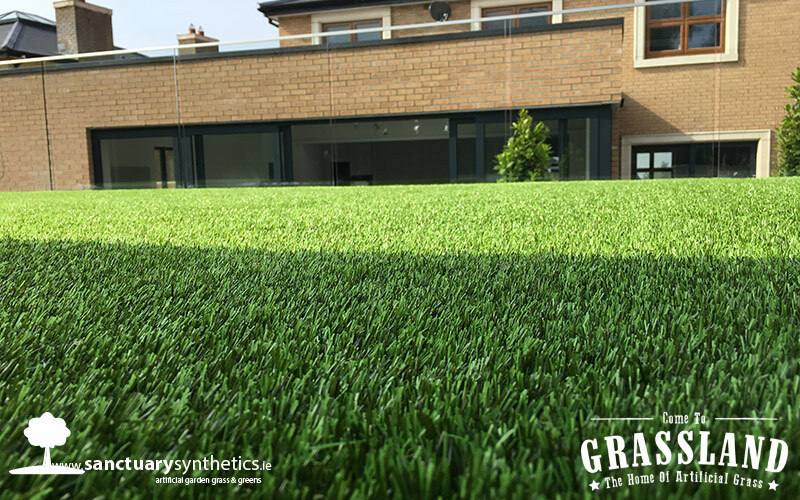 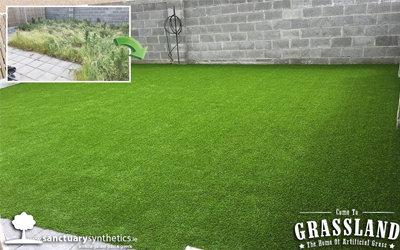 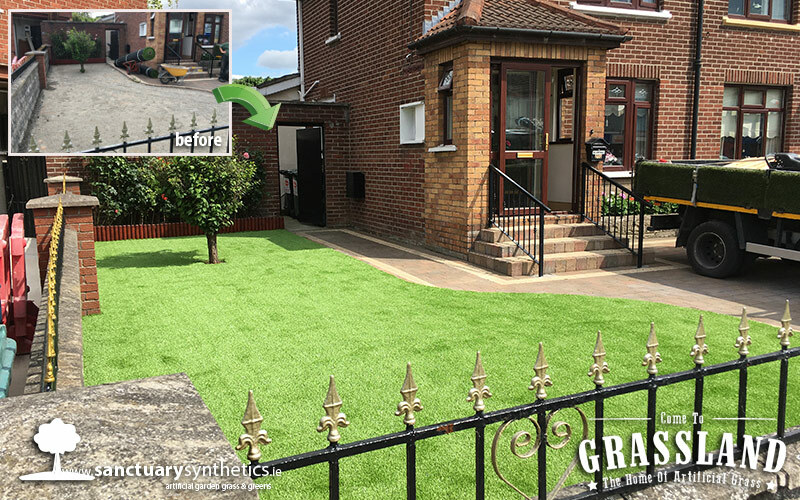 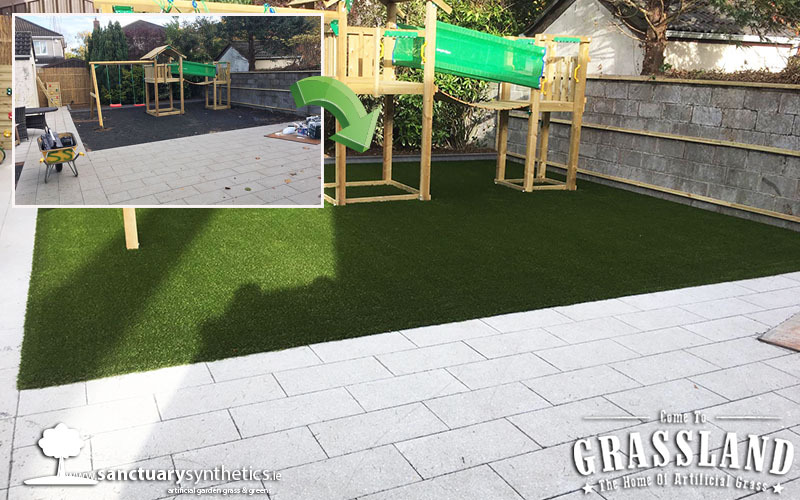 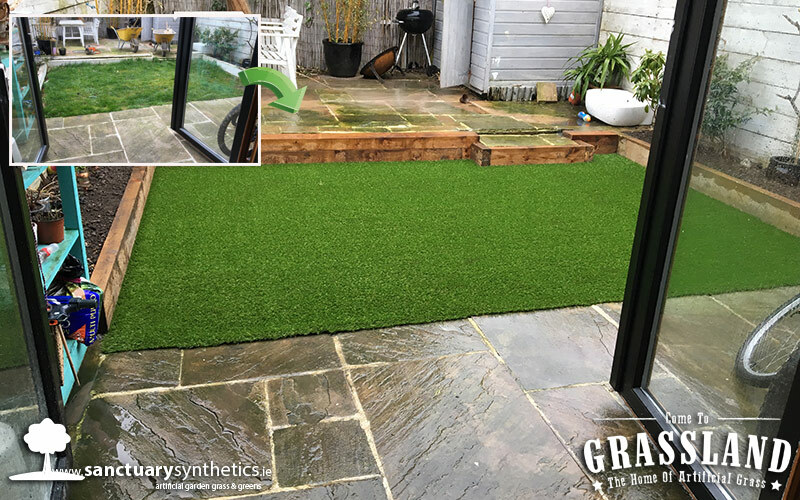 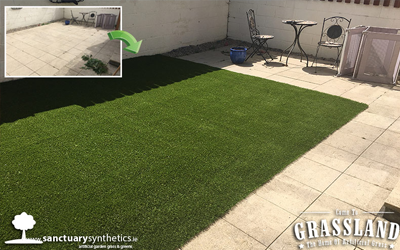 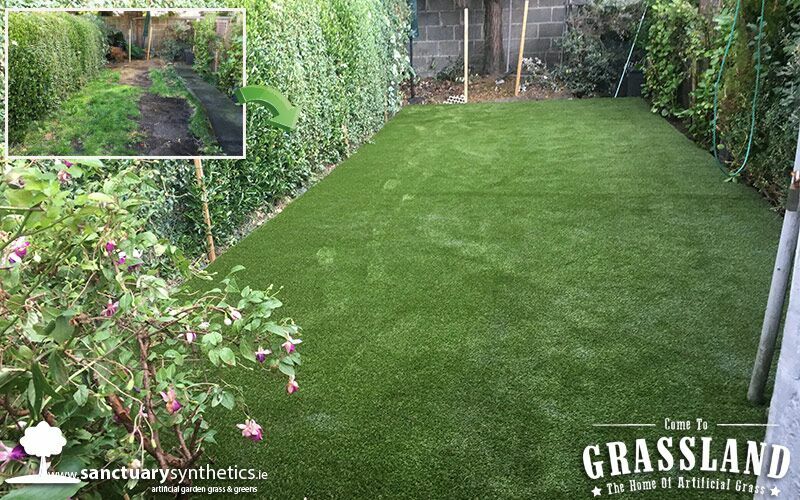 A lot of the domestic gardens we do here in Sanctuary Synthetics are back gardens but it is getting increasingly popular to get your front garden done in artificial grass. 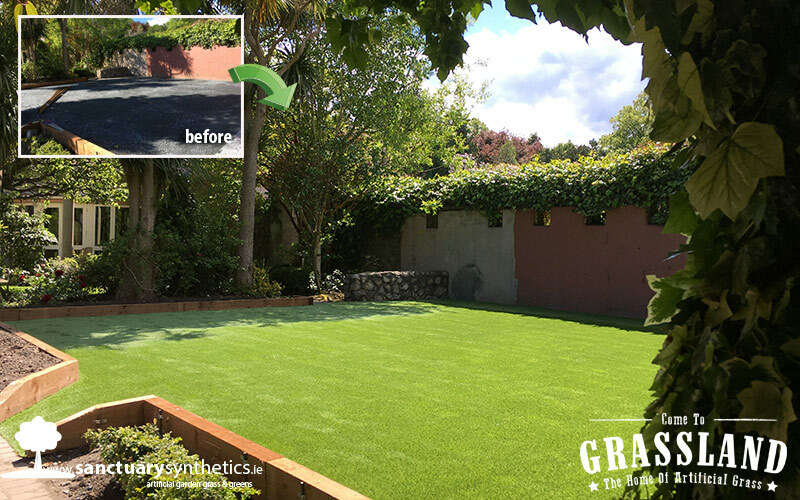 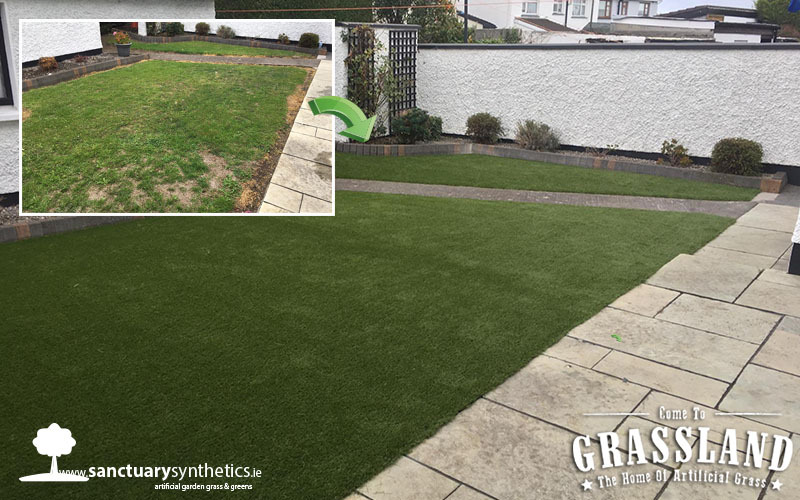 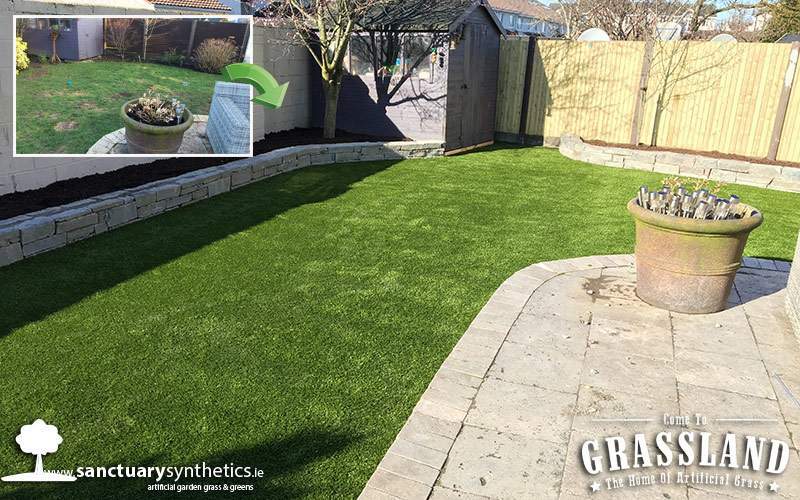 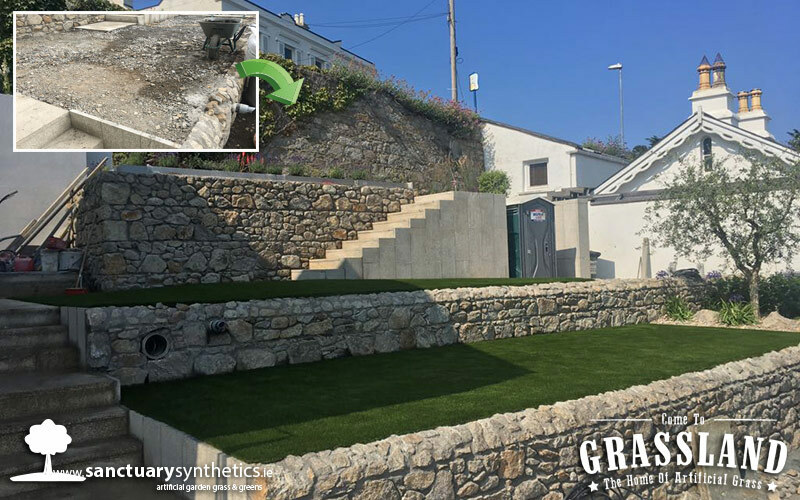 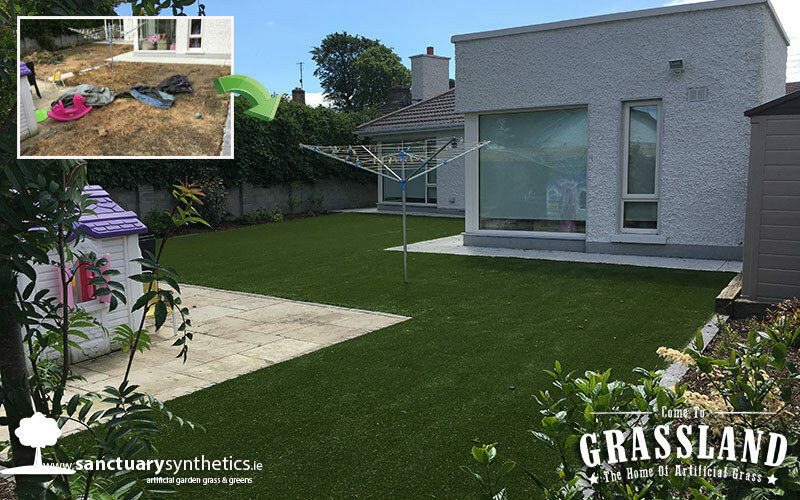 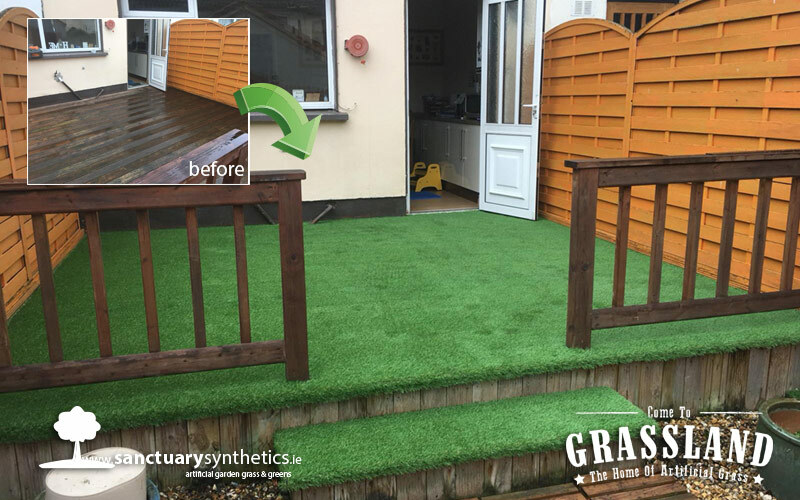 When we arrived at this Dublin garden there was barely any lawn left in the garden, the grass was completely burnt and patchy, this garden really needed our Sanctuary Synthetics makeover.